You’ll find Shoco Snack on Schotlandstraat between Ling’s Grocery and the Sasaki Texaco. 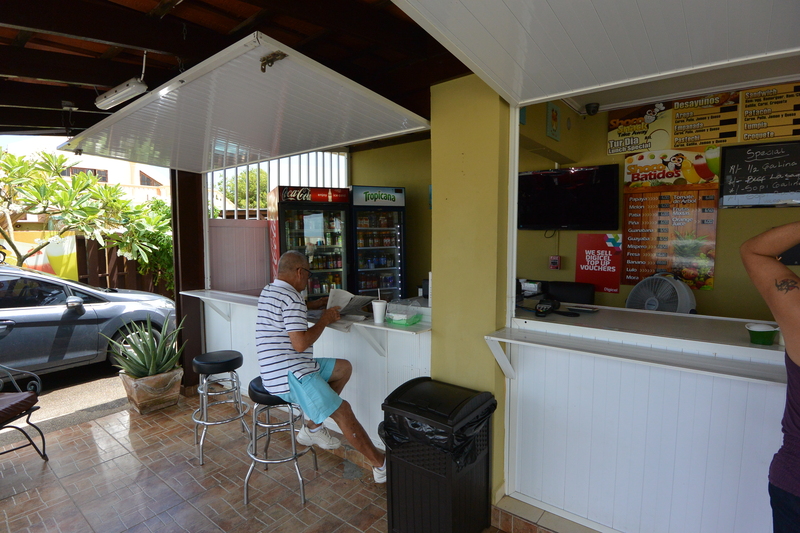 This is a local joint, mostly take-away, but there are a few seats at the counter where you can enjoy your snack and read Diario, the local newspaper. 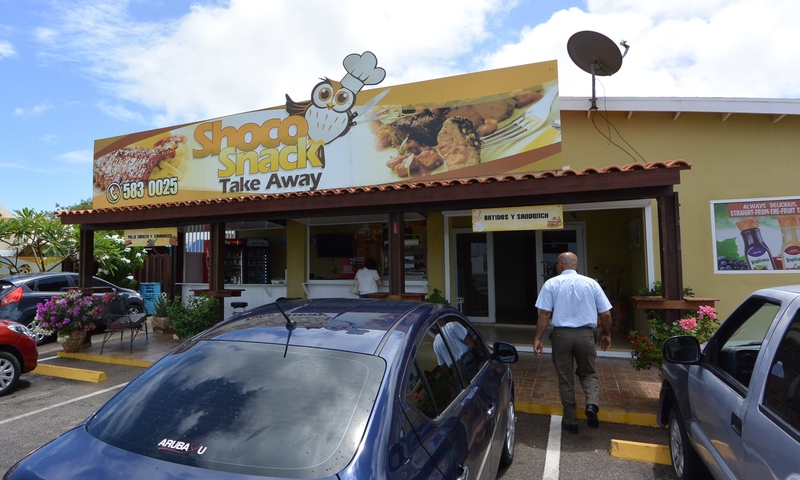 The counter at Shoco Snack, Aruba. The food here is local, simple, hearty fare. The prices are reasonable, meaning currently you’ll spend about 20 florins or less for a platter like you see below. 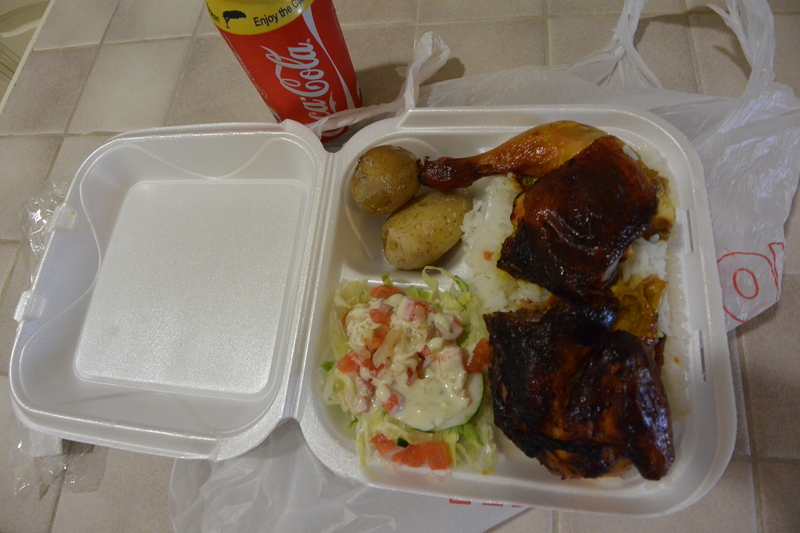 Roast chicken platter take away from Shoco Snack, Aruba. Of course, each day they have a few specials. I recommend going early for lunch to get your selection. Below is the grilled chicken platter. 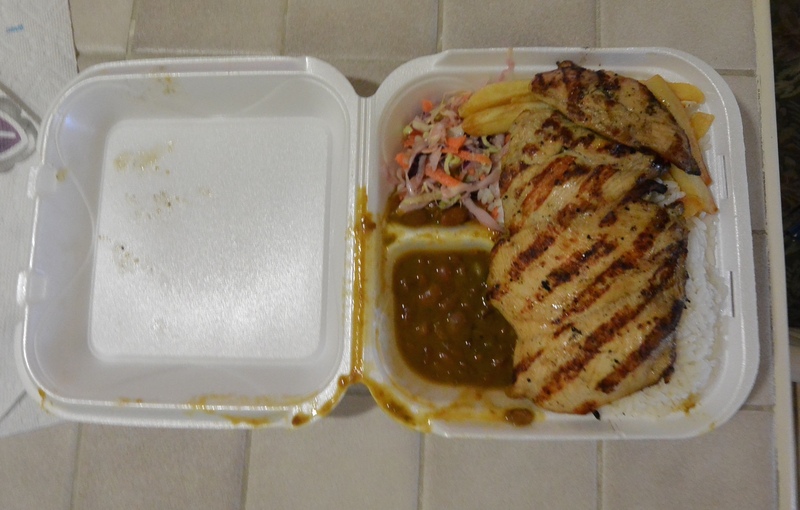 Grilled chicken platter take away from Shoco Snack, Aruba. There’s plenty of food there, enough rice for 3 people underneath the chicken. This might be an easy alternative for a quick meal during your stay. Bon dia. 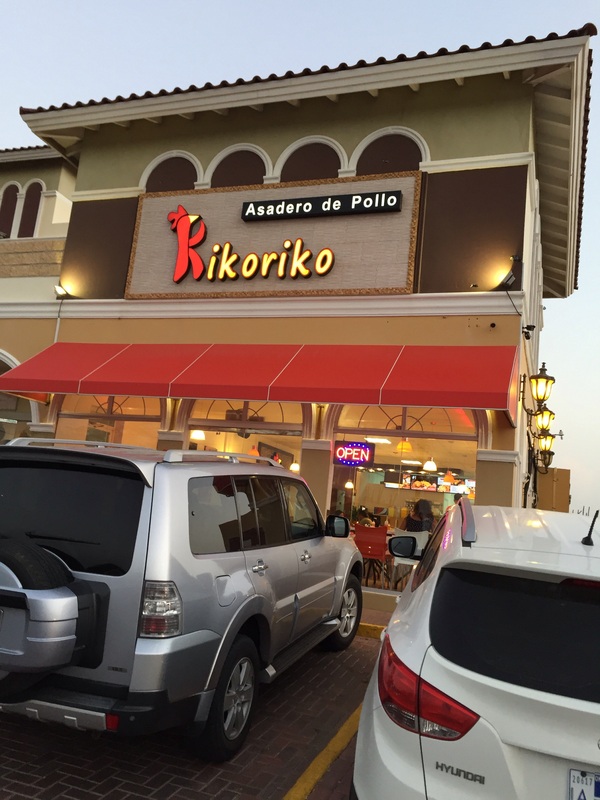 Kikoriko recently opened in Aruba, DWI. 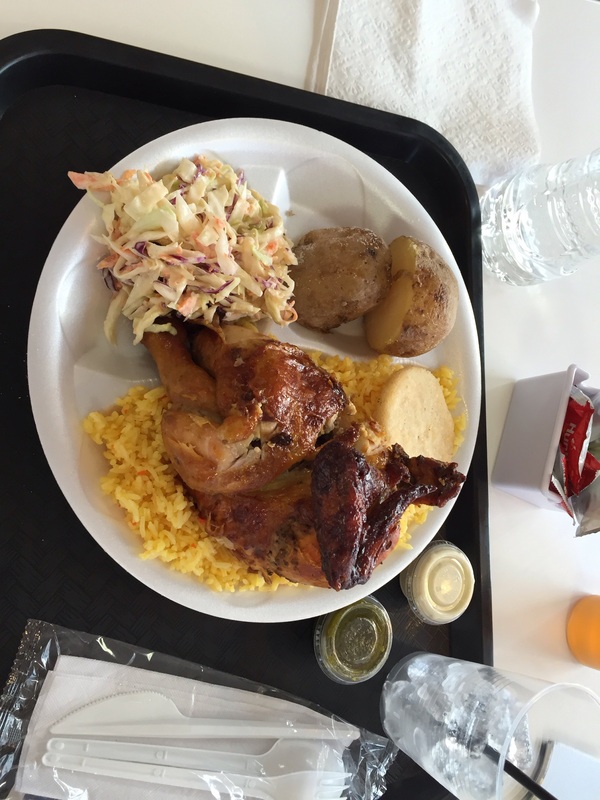 This is a rotisserie chicken joint, a food I really enjoy. Rikoriko chicken joint in Aruba, DWI. Half chicken platter at Rikoriko in Aruba, DWI. That was a tasty meal with local variations on the sides. In Aruba, you’ll find most local places serve double starch. So, you get potatoes and rice. Good for carb loading if you have some major activity planned. The meal was generally tasty. The price was right. Give this place a try. Easy to find on the main road heading toward Santa Cruz. King of whacky but interesting in an odd way. It’s fun to roam about, off the beaten path, discovering things like this. You’ll never know what you’ll find.